consistently delivers superior performance. This unique technology produces a grid that is more corrosion-resistant and delivers more cranking power than other grid designs. EXACT PATTERN: Every time for consistent results. PRECISELY ROLLED AND STAMPED METAL: Formed from a single sheet unlike conventional battery grids. CLEANER, SAFER ENVIRONMENT: Less energy used than other grid manufacturing methods, and fewer greenhouse gas emissions released. 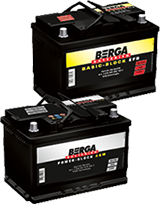 The most powerful conventional Berga battery – high-performance technology to satisfy the needs of modern vehicles. 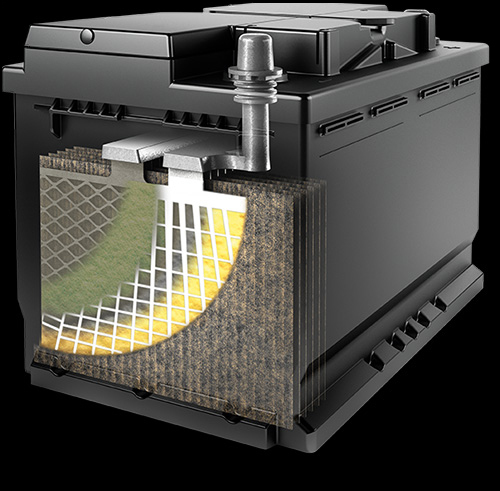 These new, maintenance-free, ultra powerful batteries are available in SHD and HD models and provide real advantages in everyday use.